As Chicago prepares itself for the cold and windy months ahead, I can’t help thinking of my mid west trip this past June when the temperature was warm and the sun was shining sweetly. And I wanted to move lock stock and barrel into the Eataly Chicago Market. 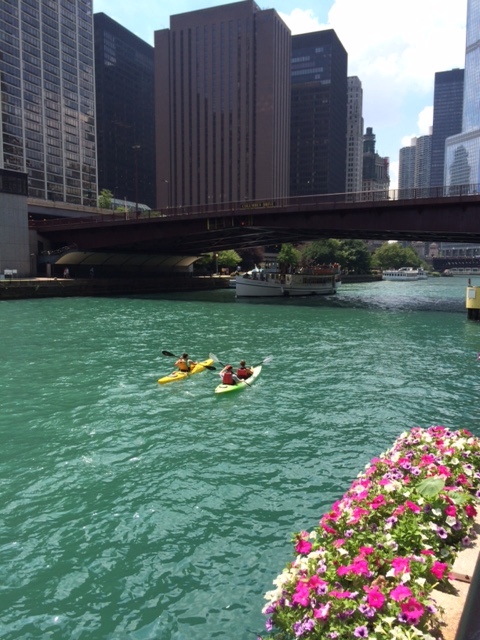 Summertime in Chicago – when the sun is shining and the river is calling. We were visiting The Windy City for my husband’s convention. While he convened with his colleagues during the day, roamed about appreciating all of city’s architectural wonders and tasty treats. One morning I peered into a market window and noticed they had a Lavazza coffee bar. Lovely. I popped in for a quick “Italian passion in a cup”. Well, behold my innocent little eyes, this little market was chalk full of wonders. As I enjoyed my espresso and croissant my eyes feasted on everything within reach. To my joy and utter amazement there was a Nutella station. Helloooo, a Nutella Station! In addition, to everyone’s favorite crepes filled with Nutella, they also offered Brioche, Saccottino and Crostatina all filled with that wonderful hazelnut flavored concoction . Seriously, making my own mouth water just thinking about it. Hazelnut flavored joy at your fingertips. If you are tempted by treats of the creamy cold variety, then walk just a few more feet to the Gelateria. Here, my friends, you can find Gelati, Sorbetti and soft serve Gelato that will transport you back to the streets of Rome. Need more treats? 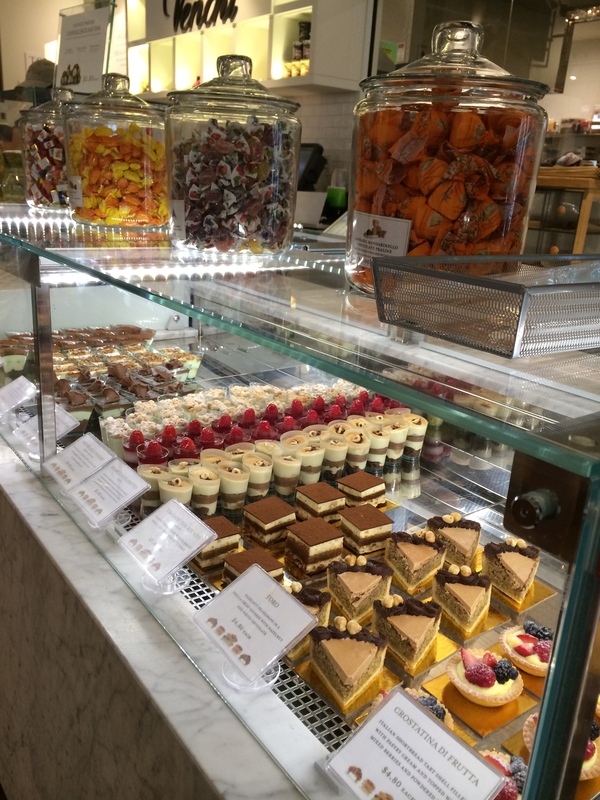 There is a section with beautiful little desserts to savor in house or sandwiches to take away. Temptations aplenty for your sweet tooth. Grab a made to order sammie and a beverage for a quick lunch. 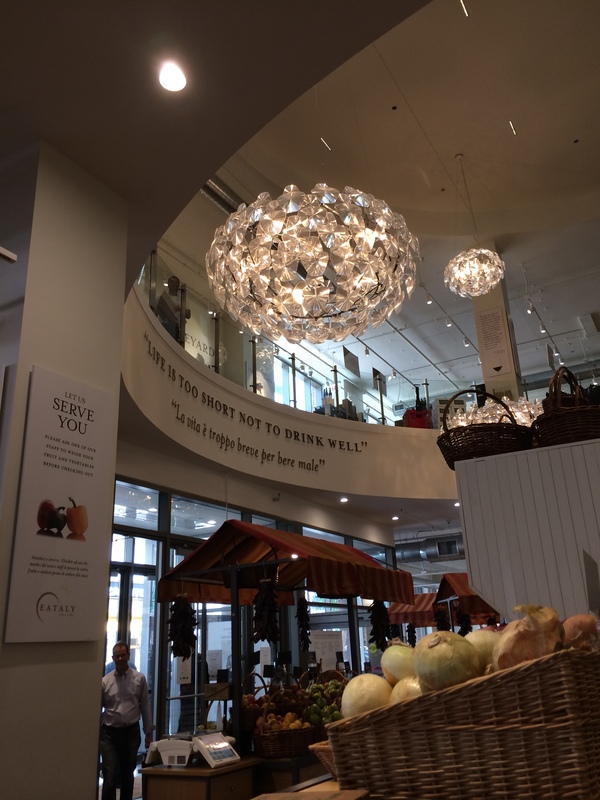 Eataly Chicago has 23 eateries located under one lovely roof. If you manage to get off the first floor (it took me a while), there is a bevy of options on the second floor offering fish, cheese, wine and fresh pasta. The market is also a foodie’s shopping paradise for olive oil, preserves, honey and baked goods. See, everything you need. 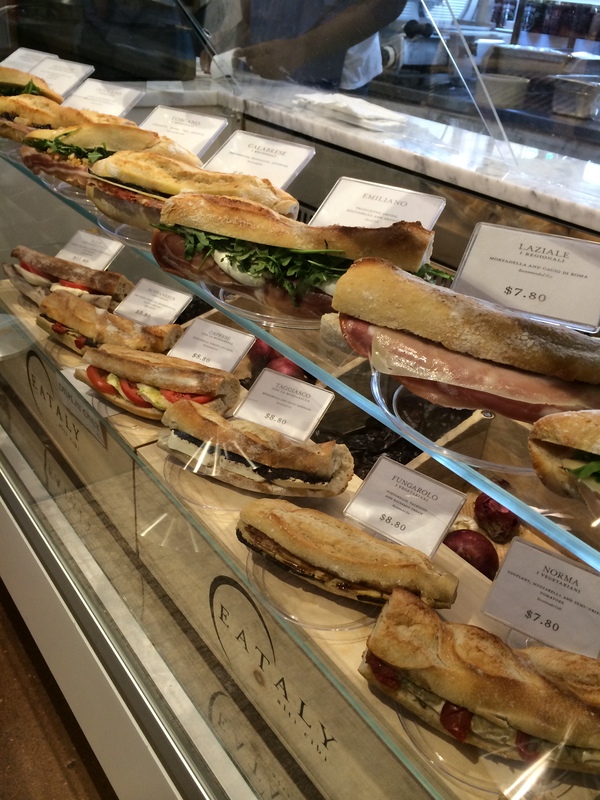 I could live happily at Eataly Chicago. The next time you are in town be sure to check it out. I’ll continue to keep my fingers crossed in hopes they will consider opening an outpost in Washington, DC. Eataly Chicago housing many of my favorite temptations under one lovely roof. This sounds like heaven! I can’t wait to make my next trip to Chicago. 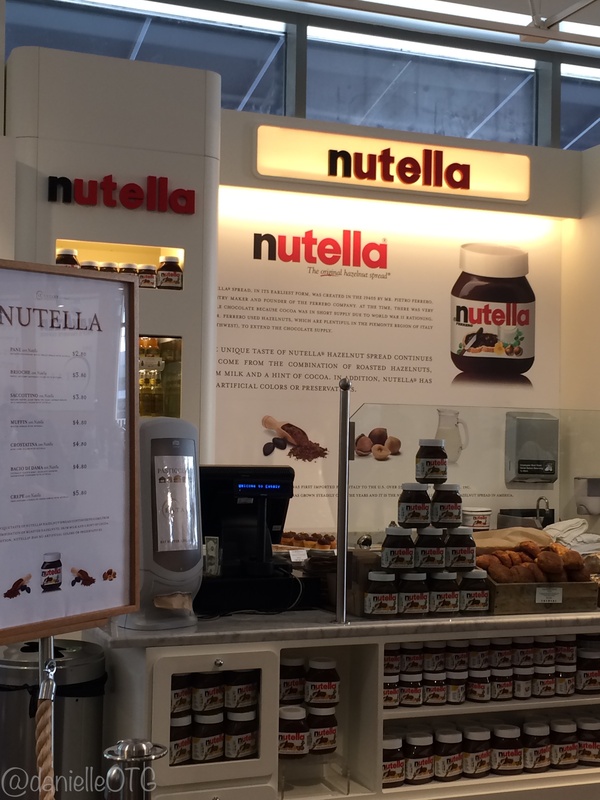 I don’t know why there aren’t more Nutella stations around.